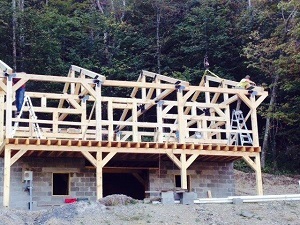 Live larger in a sprawling timberframe cabin getaway from Mooretown Timbers and Beams, LLC. If you've always dreamed of owning a beautiful wood cabin nestled deep in the mountains, now's your chance to make that dream come true. 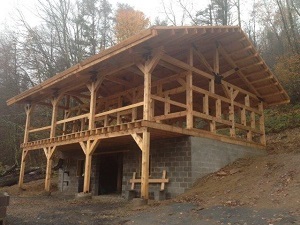 Our timberframe cabins let you enjoy the warmth of wood and quality of superior craftsmanship. But the best part is that our pre-cut, pre-drilled 'erector sets' can be set up in a matter of days, not weeks or months, so you can start enjoying your new home almost as soon as it arrives. Don't wait another year to start living your dream – order yours today.